Obviously this isn’t a photo I took, but I discovered it in my photo files and thought it would make a fun post. 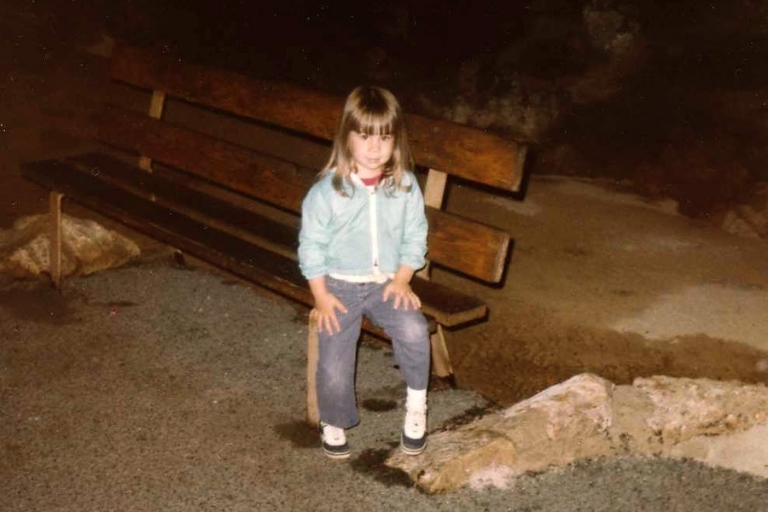 I’m three years old here, sitting inside Carlsbad Caverns in New Mexico. I’d love to say this is where it all started, where I found my sense of adventure and was taken by a case of wanderlust, but I honestly don’t remember. There were plenty of trips before this one and so many after. My parents can tell you exactly when I fell in love with adrenaline rushes and thrills (at an amusement park when I was two – I cried in anticipation of a log ride, but then couldn’t get enough of it), but I don’t think there was a big moment where I realized how much I love to travel, so perhaps it was there all along! I hope it’s something I’m able to enjoy for a long time. Also? Was my big head made for bangs or what? I’m not sure I can get away with that look now, but it seemed to work well for me in 1980.